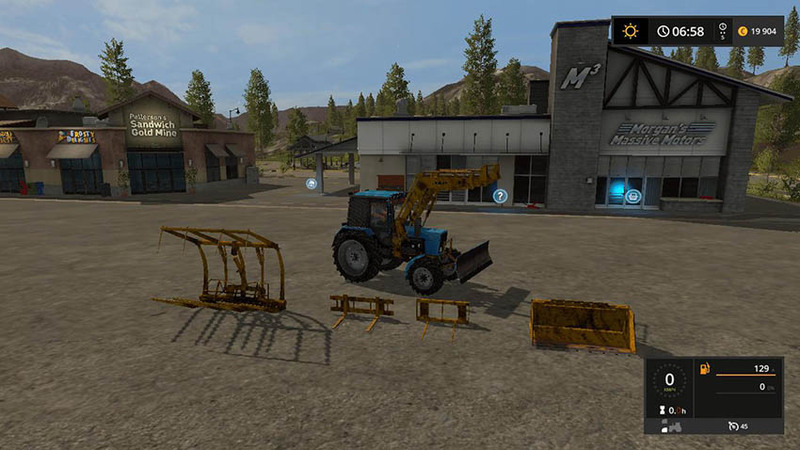 Mod adds a tractor with attachments to BLUMING, adapted for the More Realistic mode! – Counterweight in the form of a bucket (1200kg.). – Blade rotary KO-4 (2500l.). – Price: 35500 $, service per day 15 $. 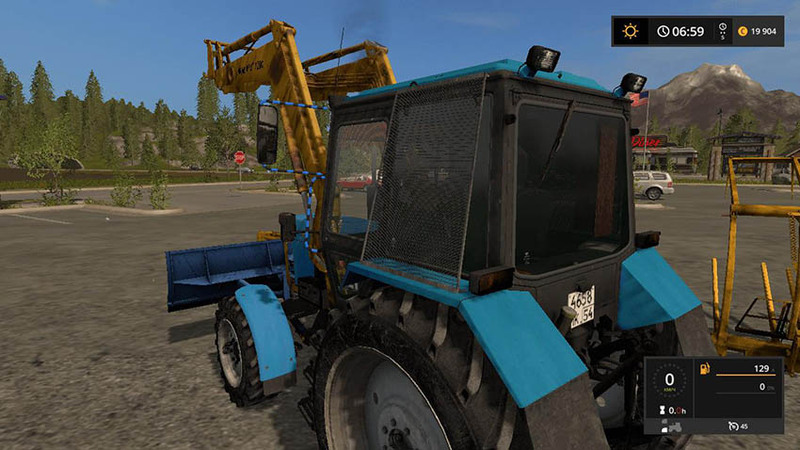 – The speed is 45 km / h.
– Engine selection (82, 116 and 155 hp). The hood opens on the left side, and the heater can be put on the right side!